Carlos Delgado Autographed At Bat Photo Toronto Blue Jays 8x10 Photo This hand signed Carlos Delgado Autographed At Bat Photo Toronto Blue Jays 8x10 Photo has been personally autographed by Carlos Delgado. Included with your purchase is a Certificate of Authenticity from AJ's Sportsworld. A baseball memorabilia collector's delight! 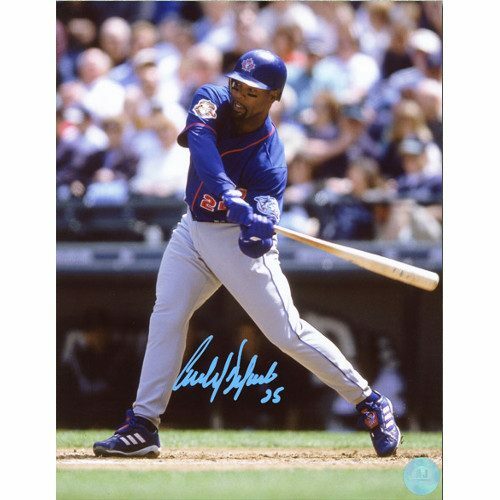 Get your Carlos Delgado Autographed At Bat Photo Toronto Blue Jays 8x10 Photo today! Carlos Delgado Autographed Bat Blue Jays Rawling Black Pro Bat This hand signed Carlos Delgado Autographed Bat Blue Jays Rawling Black Pro Bat has been personally autographed by Carlos Delgado. Included with your purchase is a Certificate of Authenticity from AJ's Sportsworld. A baseball memorabilia collector's delight! 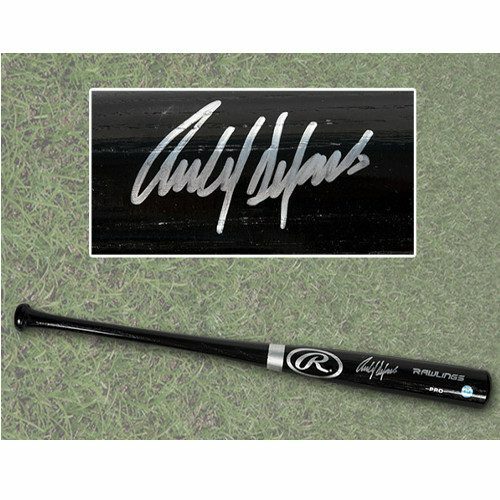 Get your Carlos Delgado Autographed Bat Blue Jays Rawling Black Pro Bat today! Carlos Delgado Jersey-Toronto Blue Jays Autographed Retro MLB Jersey This hand signed Carlos Delgado Jersey-Toronto Blue Jays Autographed Retro MLB Jersey been personally autographed by Carlos Delgado. Included with your purchase is a Certificate of Authenticity from AJ's Sportsworld. A baseball memorabilia collector's delight! 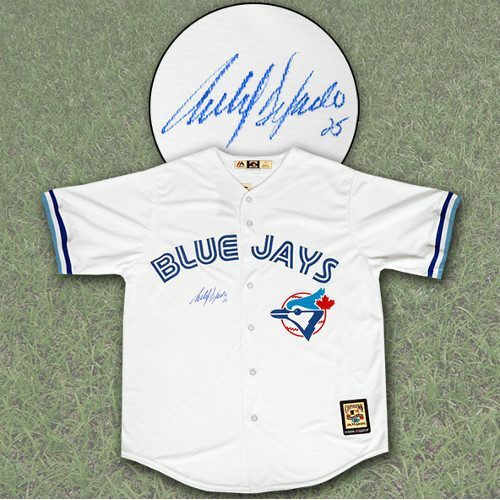 Get your Carlos Delgado Jersey-Toronto Blue Jays Autographed Retro MLB Jersey today! Carlos Delgado Signed Baseball Toronto Blue Jays MLB Baseball This hand signed Carlos Delgado Signed Baseball Toronto Blue Jays MLB Baseball has been personally autographed by Carlos Delgado. Included with your purchase is a Certificate of Authenticity from AJ's Sportsworld. A baseball memorabilia collector's delight! Get your Carlos Delgado Signed Baseball Toronto Blue Jays MLB Baseball today! Carlos Delgado Toronto Blue Jays Signed 8x10 Photo This hand signed Carlos Delgado Toronto Blue Jays Signed 8x10 Photo has been personally autographed by Carlos Delgado. Included with your purchase is a Certificate of Authenticity from AJ's Sportsworld. A baseball memorabilia collector's delight! 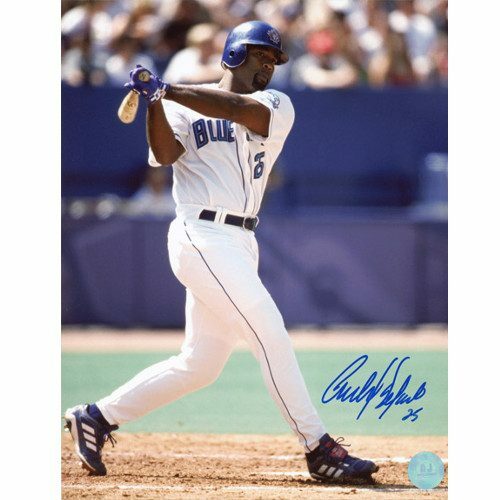 Get your Carlos Delgado Toronto Blue Jays Signed 8x10 Photo today! Devon White Autograph Toronto Blue Jays Signed 8x10 Photo This hand signed 8x10 Toronto Blue Jays photo has been personally autographed by Devon White. Included with your purchase is a Certificate of Authenticity from AJ's Sportsworld. A baseball memorabilia collector's delight! 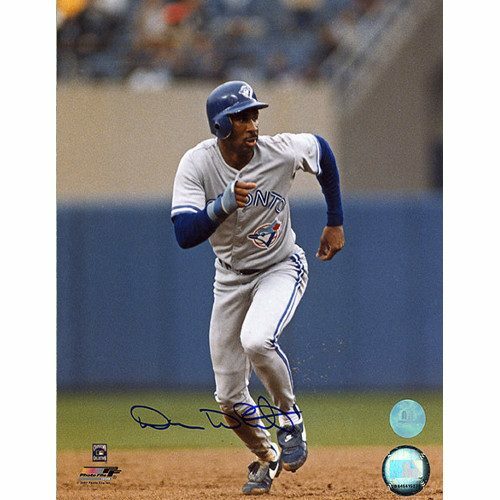 Get your Devon White Autograph Toronto Blue Jays Signed 8x10 Photo! Gary Carter Montreal Expos Signed Hall of Fame Collage 8x10 This hand signed Gary Carter Montreal Expos Signed Hall of Fame Collage 8x10 has been personally autographed by Gary Carter. Included with your purchase is a Certificate of Authenticity from AJ's Sportsworld. A baseball memorabilia collector's delight! 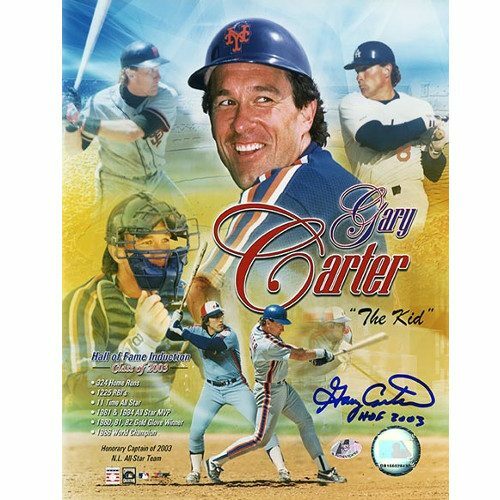 Get your Gary Carter Montreal Expos Signed Hall of Fame Collage 8x10 today! George Bell Autographed Baseball Official MLB Baseball Toronto Blue Jays This hand signed George Bell Autographed Baseball Official MLB Baseball Toronto Blue Jays has been personally autographed by George Bell. Included with your purchase is a Certificate of Authenticity from AJ's Sportsworld. A baseball memorabilia collector's delight! Get your George Bell Autographed Baseball Official MLB Baseball Toronto Blue Jays today! George Bell Blue Jays Autographed Bat Rawlings MLB Baseball Bat This hand signed George Bell Blue Jays Autographed Bat Rawlings MLB Baseball Bat has been personally autographed by George Bell. Included with your purchase is a Certificate of Authenticity from AJ's Sportsworld. A baseball memorabilia collector's delight! Get your George Bell Blue Jays Autographed Bat Rawlings MLB Baseball Bat today! George Bell Signed Baseball Rawlings Official MLB Baseball Toronto Blue Jays This hand signed George Bell Signed Baseball Rawlings Official MLB Baseball Toronto Blue Jays has been personally autographed by George Bell. Included with your purchase is a Certificate of Authenticity from AJ's Sportsworld. A baseball memorabilia collector's delight! Get your George Bell Signed Baseball Rawlings Official MLB Baseball Toronto Blue Jays today! George Bell Toronto Blue Jays Signed 8x10 Batting Photo This hand signed George Bell Toronto Blue Jays Signed 8x10 Batting Photo has been personally autographed by George Bell. Included with your purchase is a Certificate of Authenticity from AJ's Sportsworld. A baseball memorabilia collector's delight! 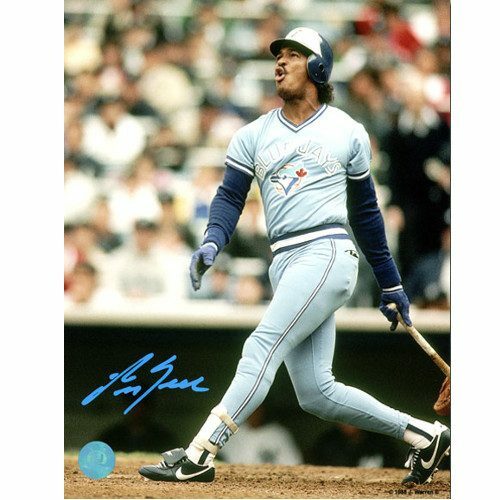 Get your George Bell Toronto Blue Jays Signed 8x10 Batting Photo today! Jesse Barfield Toronto Blue Jays Signed 8x10 Photo This hand signed 8x10 World Series batting photo has been personally autographed by Jesse Barfield. Included with your purchase is a Certificate of Authenticity from AJ's Sportsworld. A baseball memorabilia collector's delight! 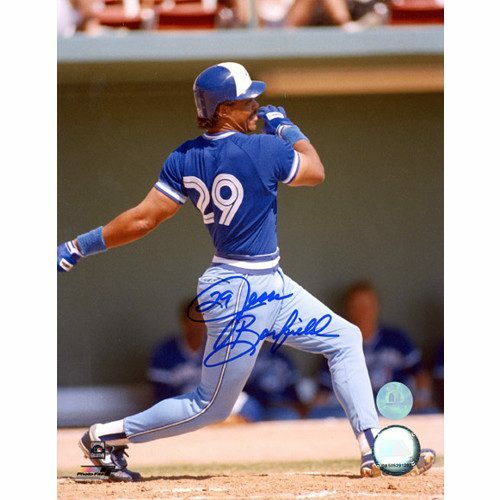 Get your Jesse Barfield Toronto Blue Jays Signed 8x10 Photo today! Jimmy Key Toronto Blue Jays Signed 8x10 Photo This hand signed 8x10 Toronto Blue Jays pitching photo has been personally autographed by Jimmy Key. Included with your purchase is a Certificate of Authenticity from AJ's Sportsworld. A baseball memorabilia collector's delight! Get your Jimmy Key Toronto Blue Jays Signed 8x10 Photo! Joe Carter 1993 World Series Celebration Signed 8x10 Photo This hand signed 8x10 1993 World Series Celebration photo has been personally autographed by Joe Carter. Included with your purchase is a Certificate of Authenticity from AJ's Sportsworld. A baseball memorabilia collector's delight! 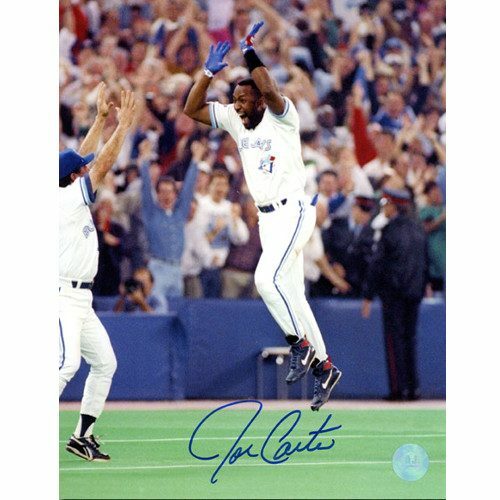 Get your Joe Carter 1993 World Series Celebration Signed 8x10 Photo today! 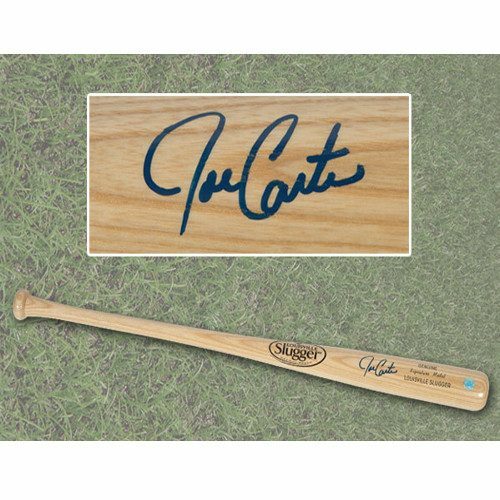 Joe Carter Autographed Blonde Louisville Slugger Baseball Bat-Blue Jays This hand signed Joe Carter Autographed Blonde Louisville Slugger Baseball Bat-Blue Jays has been personally autographed by Joe Carter. Included with your purchase is a Certificate of Authenticity from AJ's Sportsworld. A baseball memorabilia collector's delight! 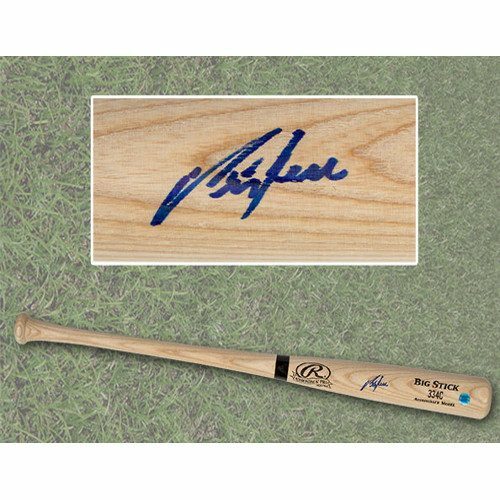 Get your Joe Carter Autographed Blonde Louisville Slugger Baseball Bat-Blue Jays today! Joe Carter Mitch Williams Toronto Blue Jays World Series 93 Signed Baseball This hand signed Joe Carter Mitch Williams Toronto Blue Jays World Series 93 Signed Baseball has been personally autographed by Joe Carter and Mitch Williams. Included with your purchase is a Certificate of Authenticity from AJ's Sportsworld. A baseball memorabilia collector's delight! 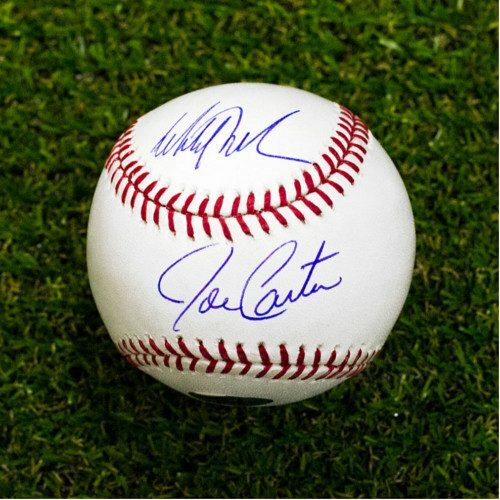 Get your Joe Carter Mitch Williams Toronto Blue Jays World Series 93 Signed Baseball today! 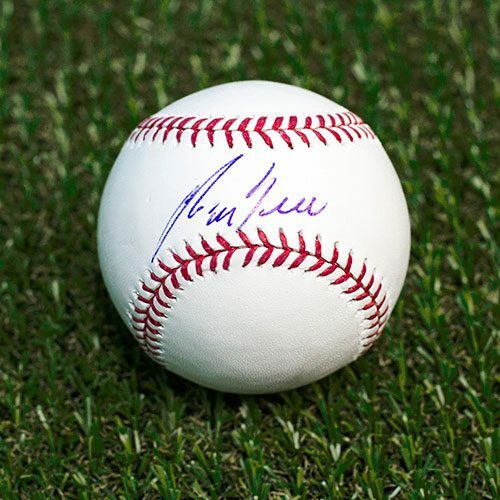 Joe Carter Signed Baseball Toronto Blue Jays Rawlings MLB Baseball This hand signed Joe Carter Signed Baseball Toronto Blue Jays Rawlings MLB Baseball has been personally autographed by Joe Carter. Included with your purchase is a Certificate of Authenticity from AJ's Sportsworld. A baseball memorabilia collector's delight! 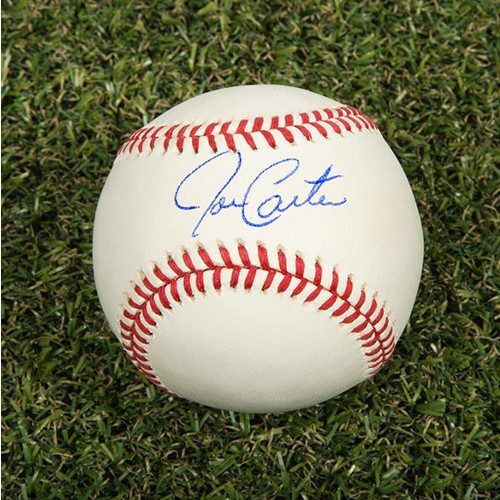 Get your Joe Carter Signed Baseball Toronto Blue Jays Rawlings MLB Baseball today! Joe Carter Walk Off Jays World Series Signed 8x10 Photo This hand signed 8x10 World Series Walk off photo has been personally autographed by Joe Carter. Included with your purchase is a Certificate of Authenticity from AJ's Sportsworld. A baseball memorabilia collector's delight! 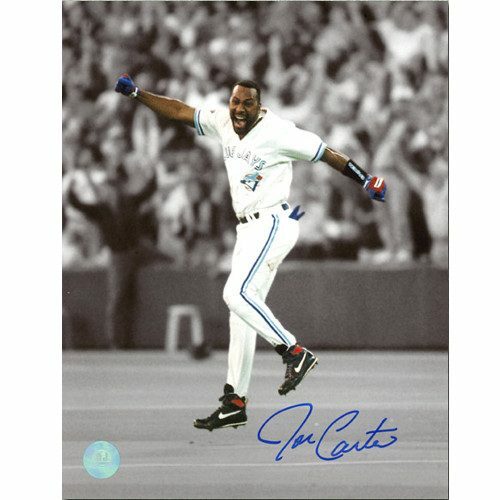 Get your Joe Carter Walk Off Jays World Series Signed 8x10 Photo today! John Olerud Jersey-Toronto Blue Jays Signed MLB Baseball Jersey This hand signed John Olerud Jersey-Toronto Blue Jays Signed MLB Baseball Jersey has been personally autographed by John Olerud. Included with your purchase is a Certificate of Authenticity from AJ's Sportsworld. A baseball memorabilia collector's delight! 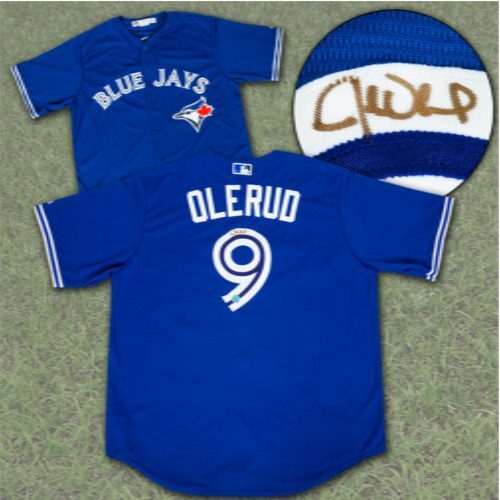 Get your John Olerud Jersey-Toronto Blue Jays Signed MLB Baseball Jersey! John Olerud Toronto Blue Jays Signed Batting 8x10 Photo This hand signed John Olerud Toronto Blue Jays Signed Batting 8x10 Photo has been personally autographed by John Olerud. Included with your purchase is a Certificate of Authenticity from AJ's Sportsworld. A baseball memorabilia collector's delight! Get your John Olerud Toronto Blue Jays Signed Batting 8x10 Photo! Josh Donaldson Toronto Blue Jays Unsigned MVP Framed 8X10 Photo This 8″ x 10″ Josh Donaldson Toronto Blue Jays photo shows the 2015 MVP in a "Spotlight" action shot. Framed in black wood and blue trim with acid free double matting. Also includes a descriptive plate, facsimile signature plate and a collector team pin. A great gift for any baseball fan. Kelly Gruber Jersey Signed Toronto Blue Jays World Series This hand signed Toronto Blue Jays Retro MLB Jersey has been personally autographed by Kelly Gruber. Included with your purchase is a Certificate of Authenticity from AJ's Sportsworld. A baseball memorabilia collector's delight! 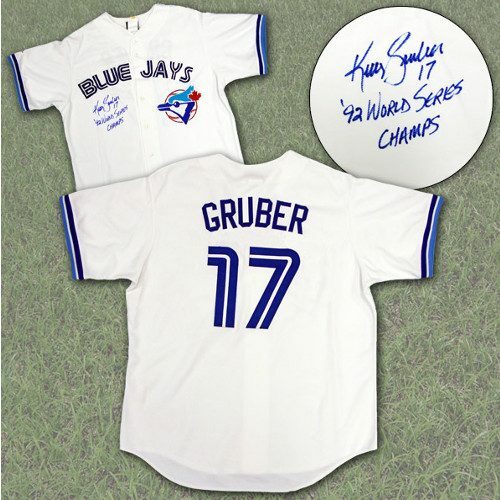 Get your Kelly Gruber Jersey Signed Toronto Blue Jays World Series! 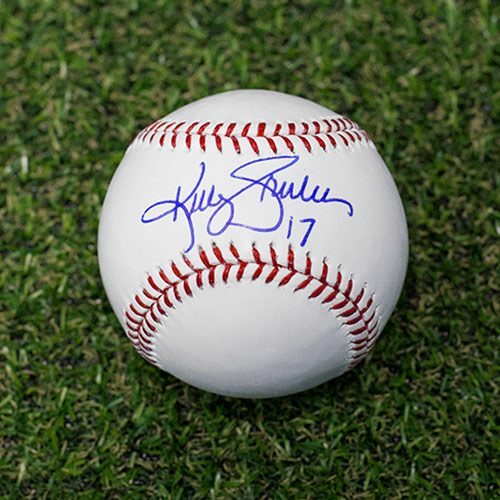 Kelly Gruber Signed Baseball Toronto Blue Jays Rawlings Official MLB Baseball This hand signed Toronto Blue Jays baseball has been personally autographed by Kelly Gruber. Included with your purchase is a Certificate of Authenticity from AJ's Sportsworld. A baseball memorabilia collector's delight! Get your Kelly Gruber Signed Baseball Toronto Blue Jays Rawlings Official MLB Baseball! Kelly Gruber Toronto Blue Jays Batting Signed 8x10 Photo This hand signed 8x10 Toronto Blue Jays batting photo has been personally autographed by Kelly Gruber. Included with your purchase is a Certificate of Authenticity from AJ's Sportsworld. A baseball memorabilia collector's delight! Get your Kelly Gruber Toronto Blue Jays Batting Signed 8x10 Photo! 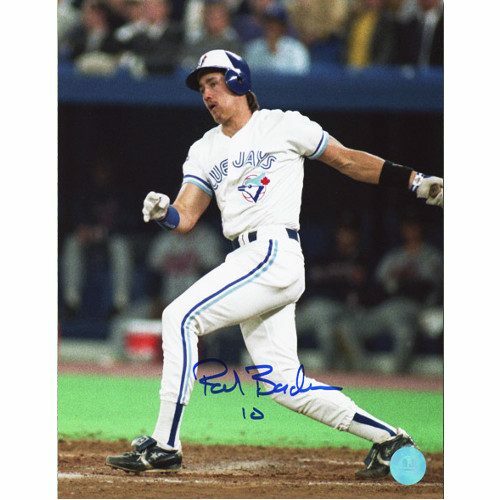 Pat Borders Blue Jays World Series Signed 8x10 Photo This hand signed 8x10 World Series batting photo has been personally autographed by Pat Borders. Included with your purchase is a Certificate of Authenticity from AJ's Sportsworld. A baseball memorabilia collector's delight! 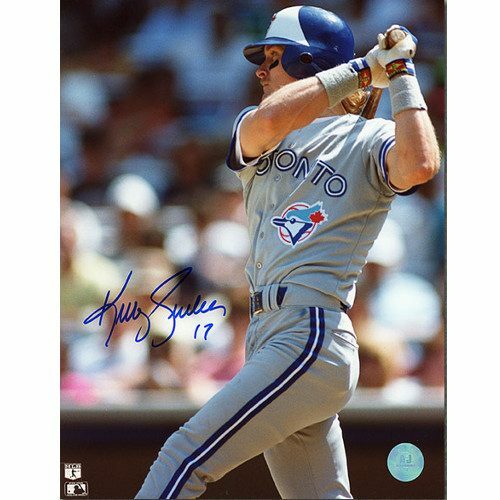 Get your Pat Borders Blue Jays World Series Signed 8x10 Photo today! Pat Borders Jersey Signed Toronto Blue Jays with MVP Note This hand signed Toronto Blue Jays Retro MLB Jersey has been personally autographed by Pat Borders. Included with your purchase is a Certificate of Authenticity from AJ's Sportsworld. A baseball memorabilia collector's delight! 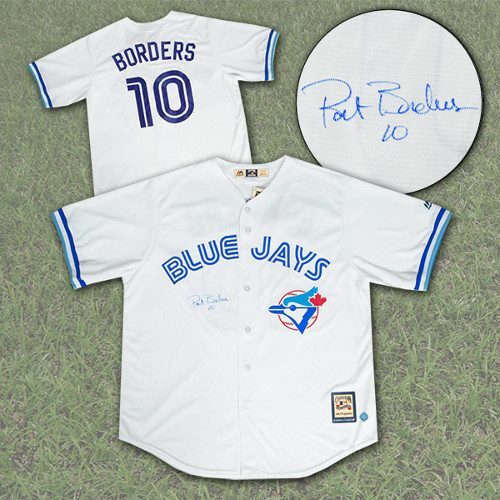 Get your Pat Borders Jersey Signed Toronto Blue Jays with MVP Note! 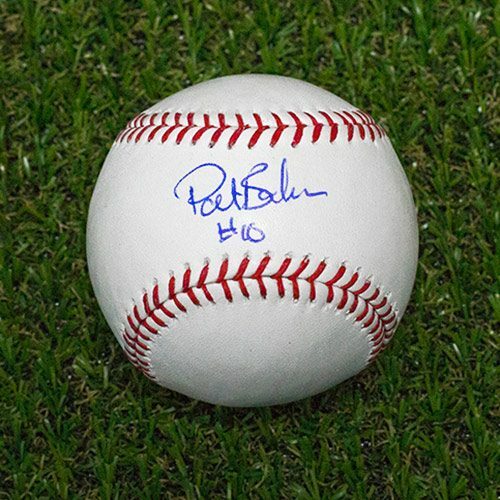 Pat Borders Signed Baseball Rawlings Official MLB Baseball Toronto Blue Jays This hand signed Pat Borders Signed Baseball Rawlings Official MLB Baseball Toronto Blue Jays has been personally autographed by Pat Borders. Included with your purchase is a Certificate of Authenticity from AJ's Sportsworld. A baseball memorabilia collector's delight! 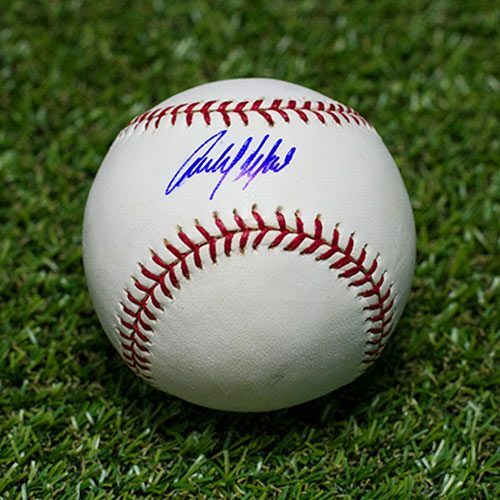 Get your Pat Borders Signed Baseball Rawlings Official MLB Baseball Toronto Blue Jays today! Pat Borders Signed Jersey-Toronto Blue Jays Retro Jersey This hand signed Pat Borders Signed Jersey-Toronto Blue Jays Retro Jersey been personally autographed by Pat Borders. Included with your purchase is a Certificate of Authenticity from AJ's Sportsworld. A baseball memorabilia collector's delight! 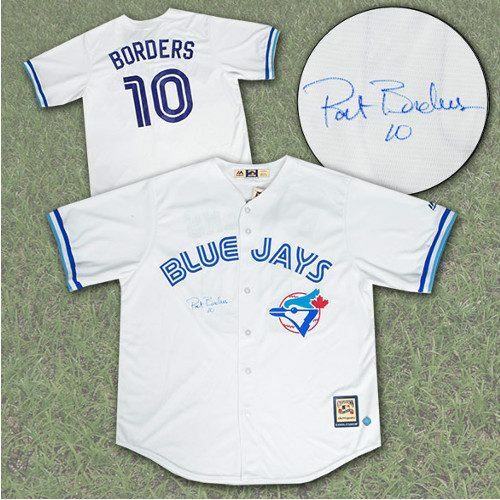 Get your Pat Borders Signed Jersey-Toronto Blue Jays Retro Jersey today!